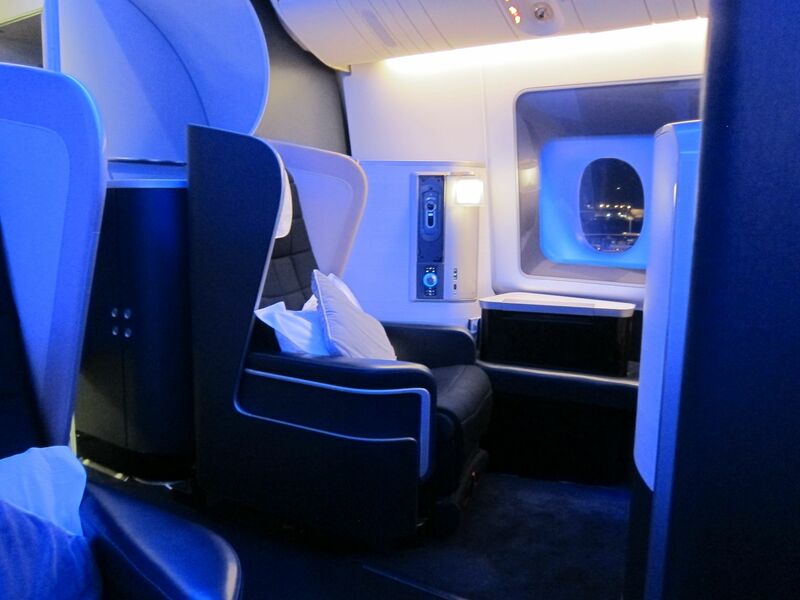 One Mile at a Time, who has called British Airways first class ‘the world’s best business class product,’ finally relents a bit and says that BA first class is pretty decent if you set your expectations appropriately. 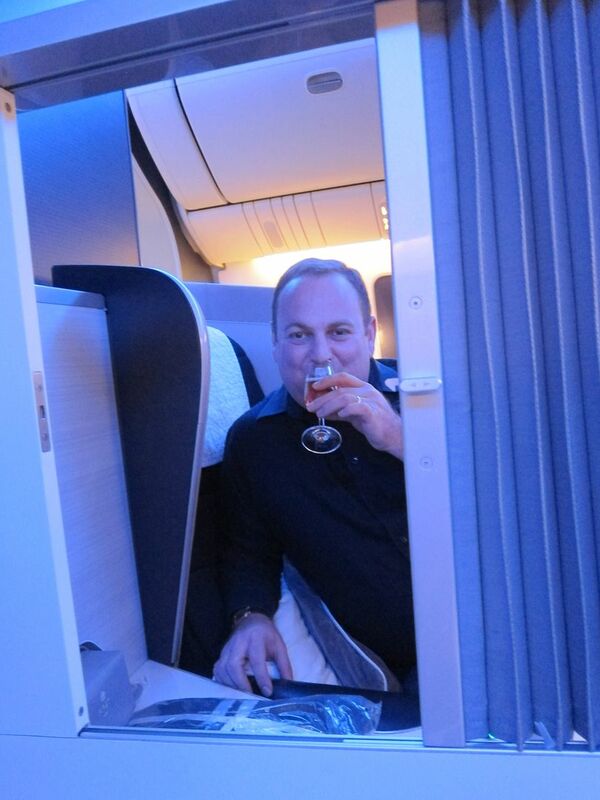 I’ve pushed back on Lucky when he’s called BA first class a good business product, although in fairness I think he first said it after flying BA’s 747 which I do find to be less good than what they offer in other aircraft. The forward pair of two seats is actually completely open to the cabin and I can hardly call it first class. 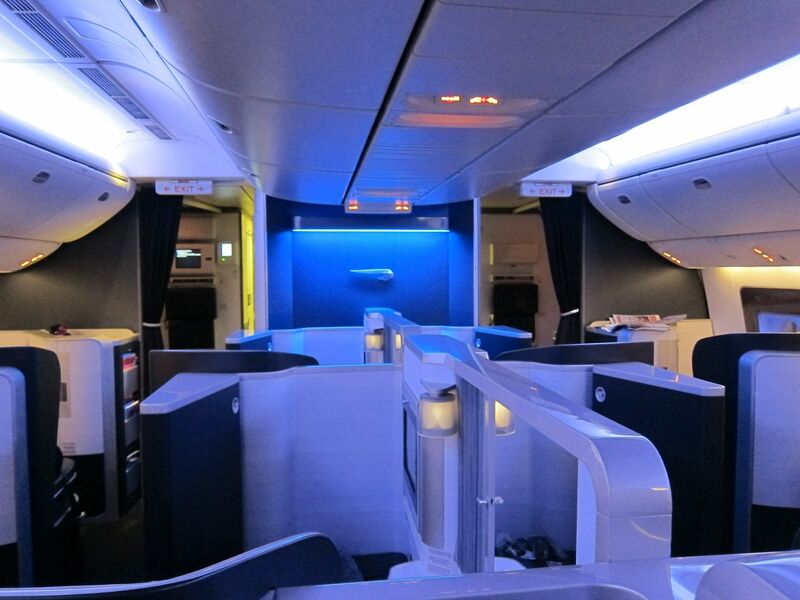 BA first isn’t the sort of ‘customized’ service that you get on many airlines. Their food isn’t as high-end or varied. They offer respectable champagne, for sure. Their amenity kits and pajamas are quality. And the cabin is just darned good looking. 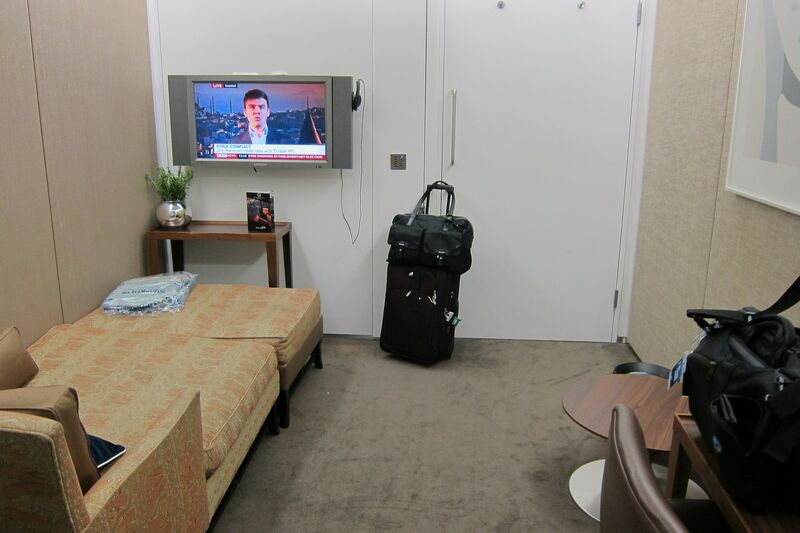 I do agree with his analysis, though, that the lack of storage space is a drawback and also that the Concorde Room at London Heathrow is quite poor. They offer cabanas which you pretty much need to reserve in advance (and risk their losing your booking) and that lets you have a shower or just close yourself off from the world. You can order food into your cabana, but the food isn’t good so I’m not sure why you’d want to. The experience is nowhere near Cathay Pacific’s cabanas at the Wing in Hong Kong. But it’s something. Lucky makes one claim, though, that I don’t think is right, that’s probably not well understood, and where clarifying could be useful to some. They’re also the only major airline in the world with a first class product for which you can’t redeem miles through any major program without paying fuel surcharges. Here’s the less helpful piece. There are certainly other major airlines in the world with a first class product where you cannot redeem miles through any major program, or cannot do so without paying a fuel surcharge. 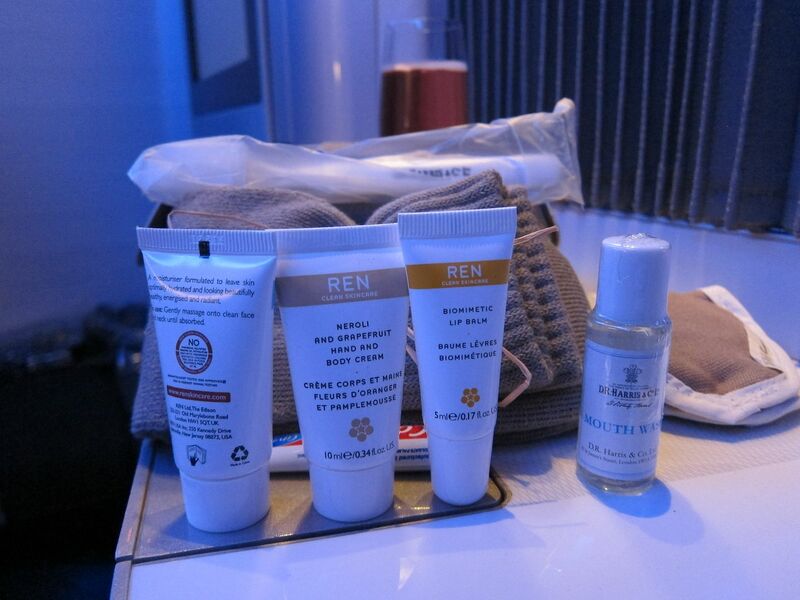 Air France first class is only redeemable by their own Flying Blue elites, with fuel surcharges. I do note that the Korean Air award chart has footnotes showing prices for Air France economy/business only in most cases, but they publish a price in first class for Tokyo – Noumea on Air France — but that’s a codeshare flight operated by Aircalin that has no first class cabin. Korean Air first class — every Skyteam partner that allows first class redemptions also adds fuel surcharges onto awards where they’re also on paid tickets (Aerolineas Argentinas doesn’t add fuel surcharges to awards, but doesn’t allow first class redemptions). Korean has non-Skyteam partners that do not add fuel surcharges to awards, like Hawaiian Airlines and Alaska. However Alaska and I believe Hawaiian do not permit redemption in first class, business is the top cabin offered. No major airline frequent flyer program for Transaero Imperial Class. They were a british midland partner, but bmi used to allow redemptions in business and economy but not first. That’s merely a technical disagreement, and not useful. Here’s the one point that may be actionable: you can redeem BA F without fuel surcharges using LAN kilometers. And Starwood Preferred Guest Starpoints transfer to LAN at 1:1.5. I haven’t done it within the past year, but I’ve booked British Airways awards using LAN’s Lanpass kilometers without fuel surcharges. You used to be able to price BA awards on the Lanpass website, even, provided it was for travel on a route not served by LAN. Roundtrip awards are required (no one ways) but a stopover or open jaw is permitted with most partners and the open jaw combined with frustratingly clueless agents can be used to manufacture something close to a one-way. You measure the distance of each flight segment to determine the price of that flight. Washington Dulles – London Heathrow is 5917 kilometers one-way. So the price in first class for that segment is 125,000 points. A roundtrip on that route is 250,000 points. But with no fuel surcharges. This isn’t a great value, but someone Starpoints rich and looking to conserve cash might consider this useful. Still, BA first class isn’t the first product I’d be looking for. And dealing with LAN is a frustrating prospect, for me at least. LAN charges the same for any segment between 5000 and 10,000 kilometers. So Los Angeles – London would be that same 125,000 points each way, and so would London – Hong Kong (London – Singapore is a smidge too far and bumps up into the next mileage band). Shorter-distance flights are more reasonable. If you could stick to just 5000 kilometers (~ 3107 miles) each way, you’d pay just 67,000 points each way for 134,000 points roundtrip with no fuel surcharges. 73,000 Starwood points, transferred at a 1:1.5 ratio, and with Starwood’s 5000 point bonus for each 20,000 kilometers received, would yield 134,500 LAN kilometers. No U.S. route works, but shorter BA first class routes would. I’d love to hear from folks that have done this within the last 12 months, with more recent experience than mine. If you book on American Airlines (Econ, Bus or First) using British Air Avios points – do you still pay BA fuel surcharges? @Alison – you pay whatever fuel surcharge may be a part of a paid fare for the same route. So AA has fuel surcharges across the Atlantic on its paid fares, BA charges those for points redemptions on those AA flights. There’s no fuel surcharges on American flights domestically, or to South America, so none when redeeming BA points for those. If you fly American metal I assume no. American does not collect fuel surcharges. @robertw – American collects fuel surcharges for awards booked on BA and to a modest extent IB. British Airways collects fuel surcharges for award travel any time that a paid ticket would incur such a charge, regardless of airline. That means, for instance, AA/QF/CX/etc. If you try to find availability on MIA to LHR these days often there is a ton of flights available on BA metal. The surcharges make it not worth it. 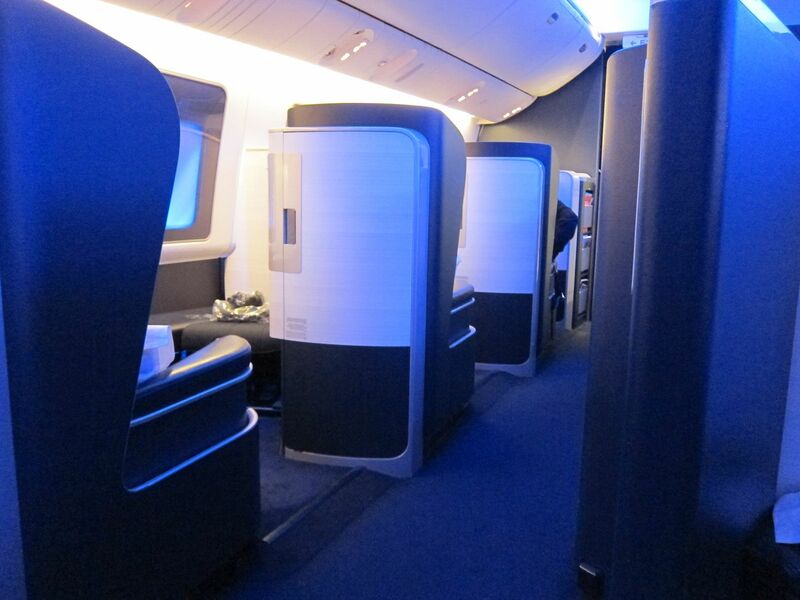 MIA-LHR on American (flagship) route is tough to get in premium class. That used to be easy. Now American will more likely to offer MIA-JFK-LHR on their metal if you are lucky. @robertw I’m finding a lot of seat on MIA-LHR but only in the non saveraward. I’m finding this true on all Europe-US-Europe flights, AA doesn’t release saverawards.. Thanks Gary, Maybe u can do a feature on the OneWorld miles program with the worst value… Qantas. Something like 260,000 points PLUS fuel surcharges on any OW airline for 10,000 miles return. @Max – are you suggesting starting trip elsewhere and connecting in Rio somehow to avoid the YQ? Doesn’t that eat up any points or cash just getting to Rio? Or is there some way to get to Rio and stopover for few/no additional points? I have not been a fan of BA F. However, we recently flew BA F on the 380. Now THAT I like. Yes, it’s the same seat, but the surroundings are completely different. There is a spacious storage area in the arm rest. The closet is large enough to store my tote. And it’s designed to be significantly more private that the 747s. There’s no bumping anyone’s toes as you walk down the aisle. Just because the two forward-most paired seats are “exposed,” doesn’t mean there aren’t other attractive seating options. Row 1 is great (though typically only available at the airport, except for [Premiers]) and row 2 window seats are also very private. I’ve never had a problem getting seats in row 1 or 2. While the fuel surcharges aren’t nil, they are relatively minor in the overall scheme of things. Also, list on many is that a big chunk of what BA collects goes to the passenger tax in London, which no carrier can avoid there. Unlike the vaunted LH, you can actually book a BA F award ticket more than two weeks in advance. 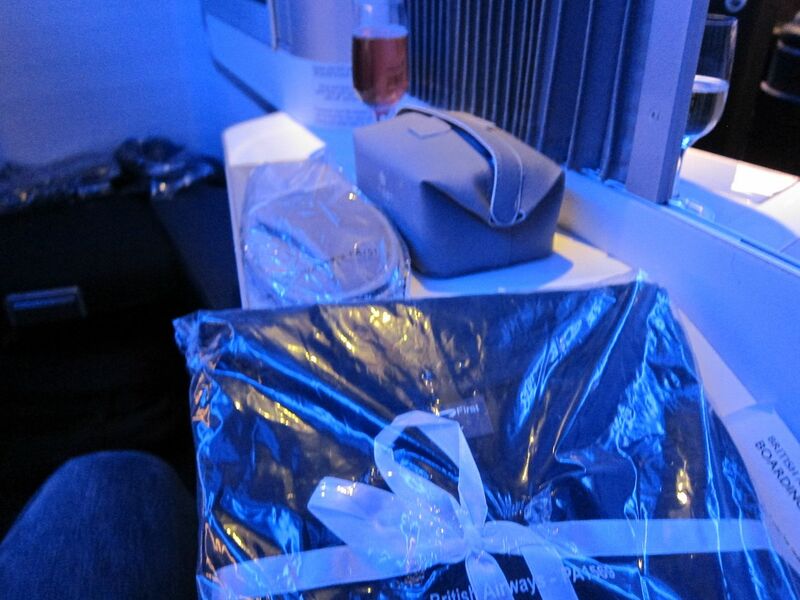 And, I’ve had no problem getting three or even four F award seats on the same flight on BA. I’ve flown both and there is no question that LH has a better F product…no question about it….but for many pax, if you can’t actually book LH F other than playing the close-in lottery, it’s not that valuable. @farbster – the trip must originate in Brazil. You must get here (I’m Brazilian!) on another ticket. If I’m not mistaken if the ticket originates in Brazil, there will be no YQ for any segment. BA can’t price these tickets accordingly, so you have to call to book it. @farbster The trip does have to originate in Brazil. It’s a Brazilian law that the airlines are not allowed to charge YQ for flight originating or part of a round trip the return to brazil. You don’t have to call to get this special treatment either. You can book through AA.com or the BA site and you’ll see they don’t charge the YQ. The advantage to this is that you could easily position yourself in Brazil for less than the cost of the YQ in most cases. If Brazil is on your list of places to see anyway, it’s like getting a freebie. In the case I mentioned above (GIG-BCN, VCE-GIG) I first made the mistake of booking them as 2 separate tickets. When I did that I got nailed with over $1600 in YQ on the VCE-GIG leg. When I put the VCE-GIG leg on the same res as the outbound, the YQ disappeared and I only had to pay $130 in taxes. You can play around with the savings on AA and BAs websites. I’ve also understood that the Brazil-LHR routes don’t incur surcharges as there is some Brazil law issue with them but two problems. First you have to get to Brazil (which requires a visa if you plan to tourist it) and the BA card companion passes can’t be used as they have to be booked from a USA airport. Now maybe if you could find BA metal from US to Brazil and then on to LHR it might work but not likely anytime soon. To me the biggest problem is that BA obviously hubs at LHR. It’s not like AA where they hub from different cities. For example if they only had fuel surcharges at ORD you could route around through DFW to avoid it. There doesn’t seem a way to do that from the USA on BA. 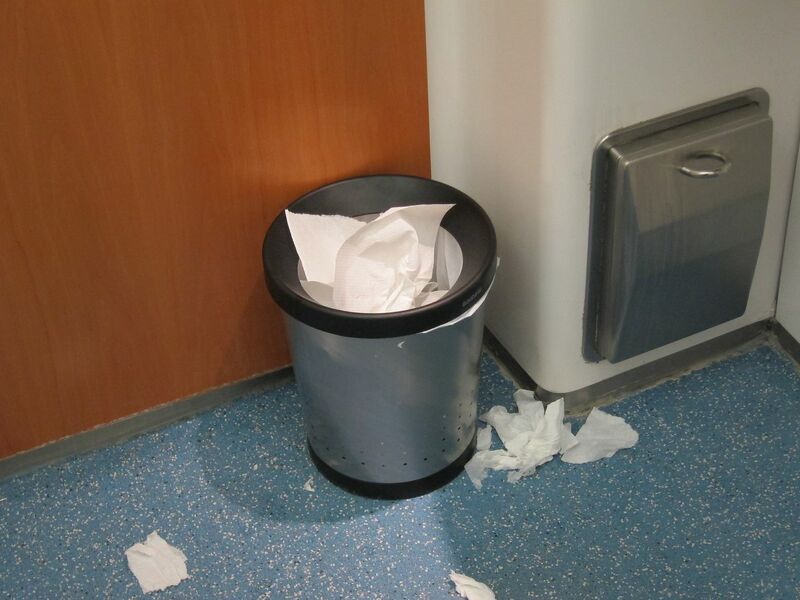 I think I’ve seen the picture of that trash can (which is not from inside the Cabana) about 100000 times now. 😛 I’ve visited the Concorde room 4 times in the last year and has a) had a good meal (Bacon Sandwich is always a winner) and b) always gotten a Cabana when I’ve wanted it. You have to compare BAs offering with what their competitors offer in their home market, Europe. The Cabana is better than any private room offered in any lounge in Europe and the US, in fact, no airline offers anything like it in any of those two markets. Personally, I think Lufthansa has a superior product, but BA is good enough that I’d want to spend my money and miles to get a First seat. Philippines also has some sort of ban on fuel surcharges. Ask our Congress to do the same.